As some of you may know, I was in Vancouver for a few days last week for the Canadian Nursing Student Association Conference. I've been to Vancouver before, but I was incredibly excited to go back. In addition to hearing from some awesome keynote speakers about important issues in Health Care, I got to spend some time seeing the city with my awesome friend Dave (Hey dude. You're swell). 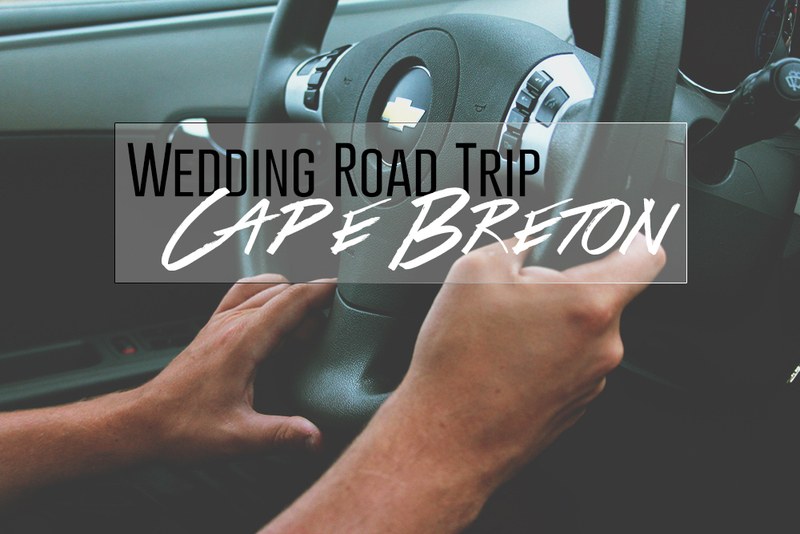 I crammed as much into 4 days as I possibly could and although I came home incredibly sleep-deprived, I wouldn't have changed a thing. 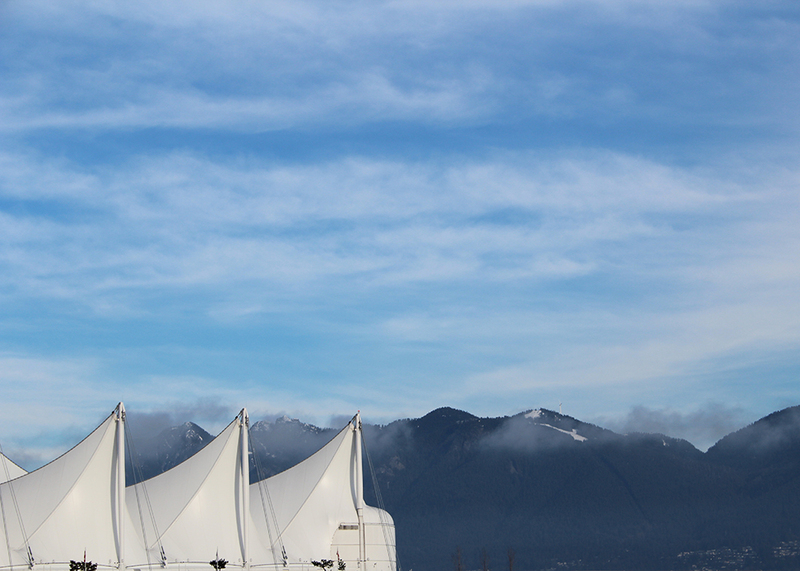 Some shots from around the waterfront and Canada Place. We spent most of the first day near the hotel since we didn't have a lot of time. It was sunny and +8 for our entire trip, which is apparently rare for Vancouver- we lucked out and there was no rain for the entire time we were there. Vancouver has me fooled into thinking it is the best city ever, so I'm considering moving there....maybe I'm just good luck and the weather will change for the better (haha, wishful thinking). 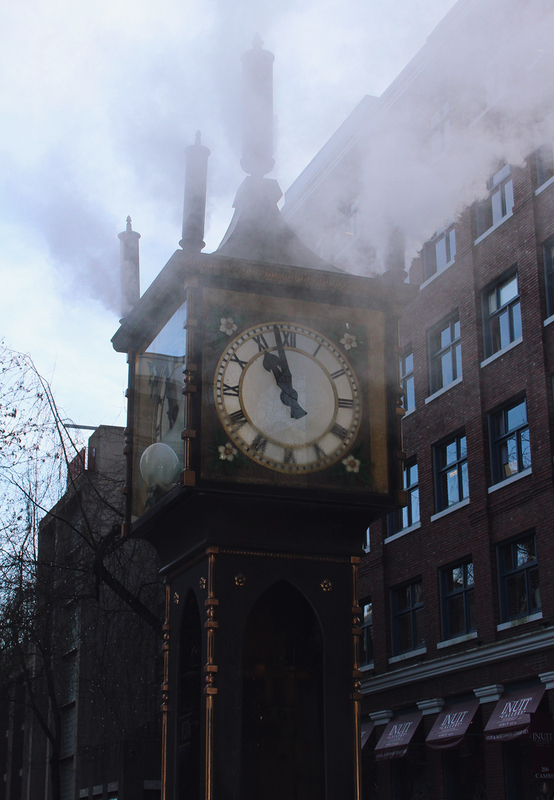 Below is the Steam clock in Gastown - I've seen it before, so I didn't take many photos, but I liked this one. Some of our group got separated from us and ended up in the very bad part of town east of Gastown...they hopped on a bus and got the hell out. 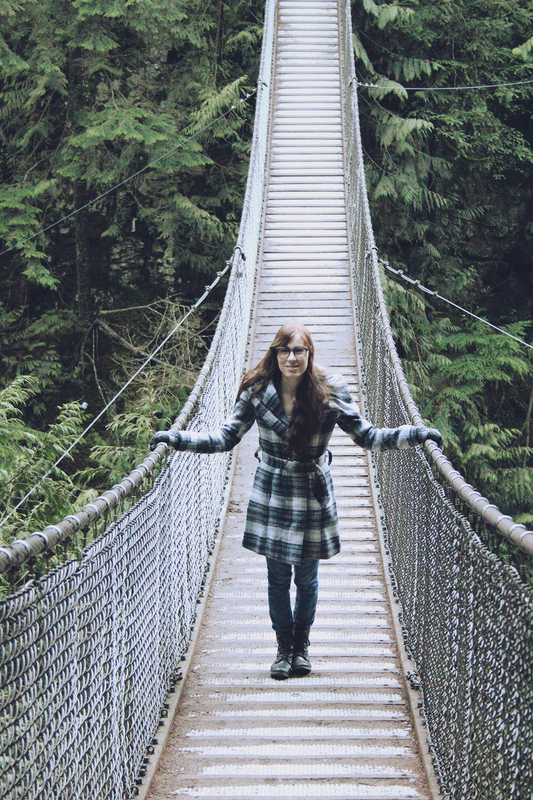 We really wanted to go to Lynn Canyon park since my little sister went back in the summer and said it was awesome. We didn't have much sun left, but we made it there in time to go for a little walk down the path. Wish we could have had longer, but the sun sets early these days! I had an awesome time in Vancouver (again) and I really feel at home there. I was quite sad to come back to -23 degree weather in Ottawa. 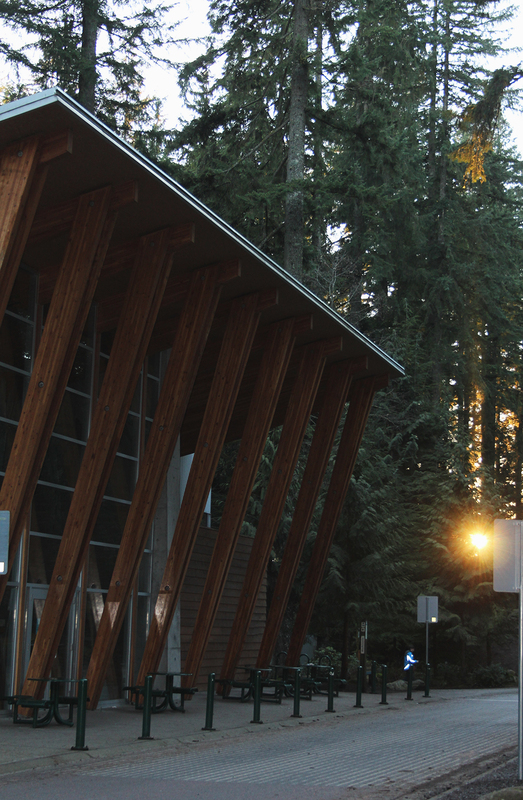 I jokingly mentioned that I'd like to transfer my credits to UBC and move there to my family, and they just sort of shrugged and said they'd visit me. Thanks, Fam....good to know you'd miss me. Wow. Looks beautiful! Makes me want to jump on a plane and go right now! 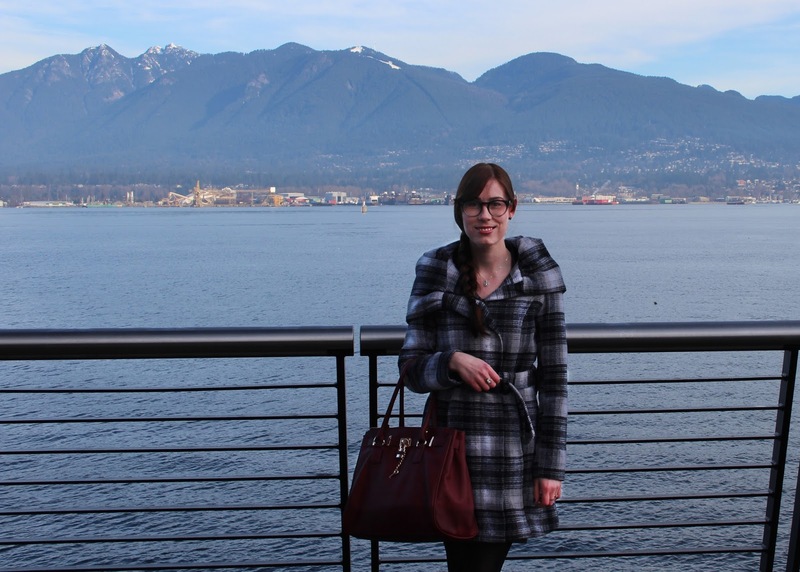 I've only ever been to Ottawa but Vancouver is definitely on my list! And kudos to you for walking across that bridge! I am super scared of heights and would've crawled across haha! 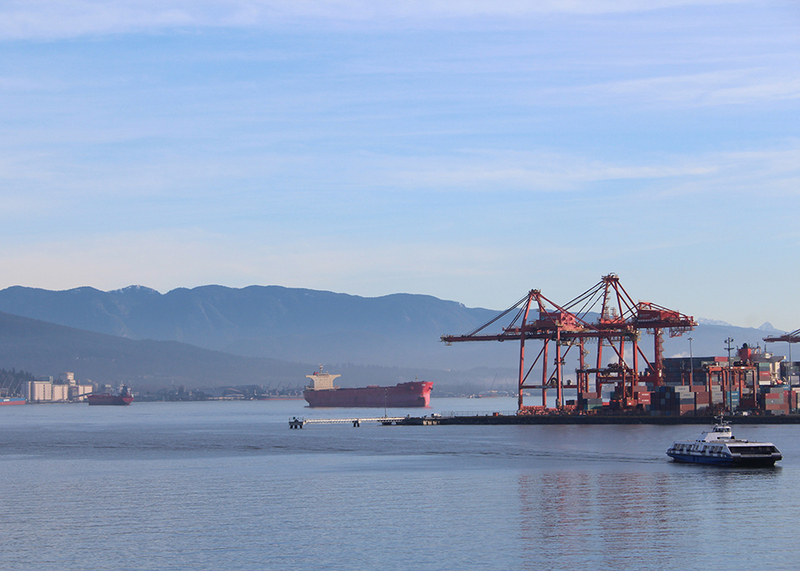 Vancouver looks stunning. I love that you have the city and all that beautiful country surrounding it. wow the bridge looks amazing and so many photo opportunities! I have always wanted to go to Vancouver. Someday I will road trip to there from San Francisco. 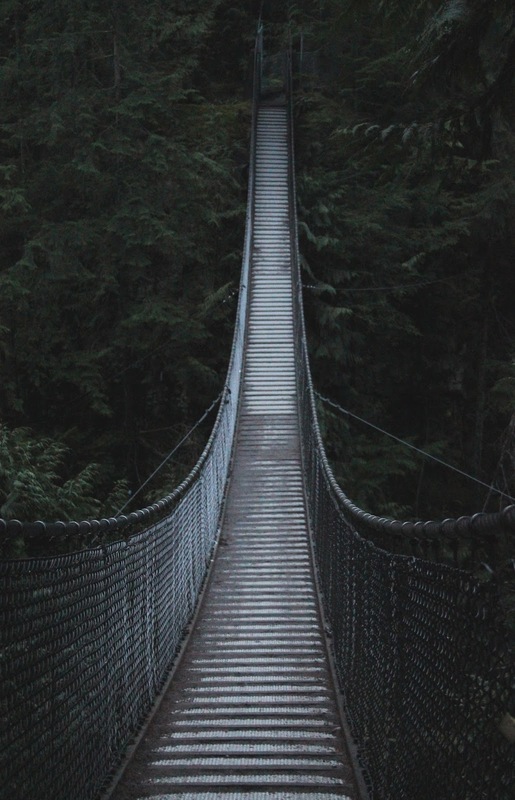 These photos are great - I grew up just 5 minutes from Lynn Canyon! 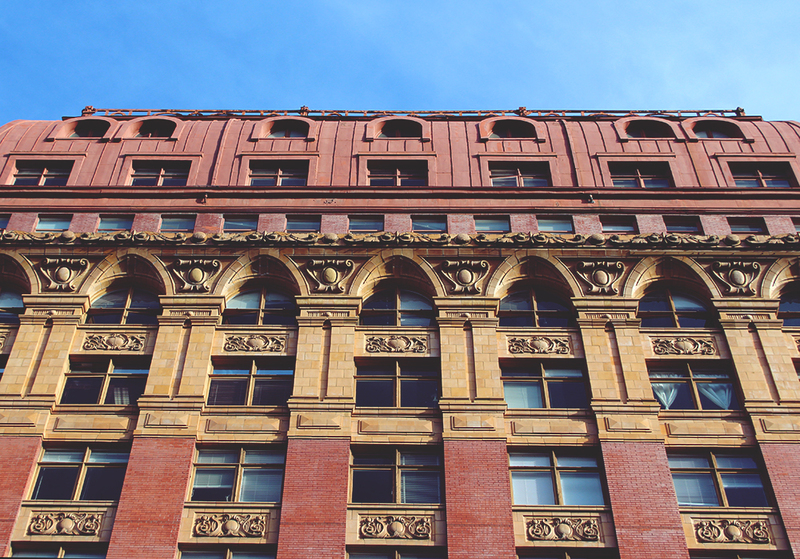 Some of my earliest memories are there. I live 5000 kms away now and miss the north shore and Vancouver greatly, but I'm lucky enough to see it once or twice a year when I visit my parents. I love that picture of the clock with the steam rising, very unique. 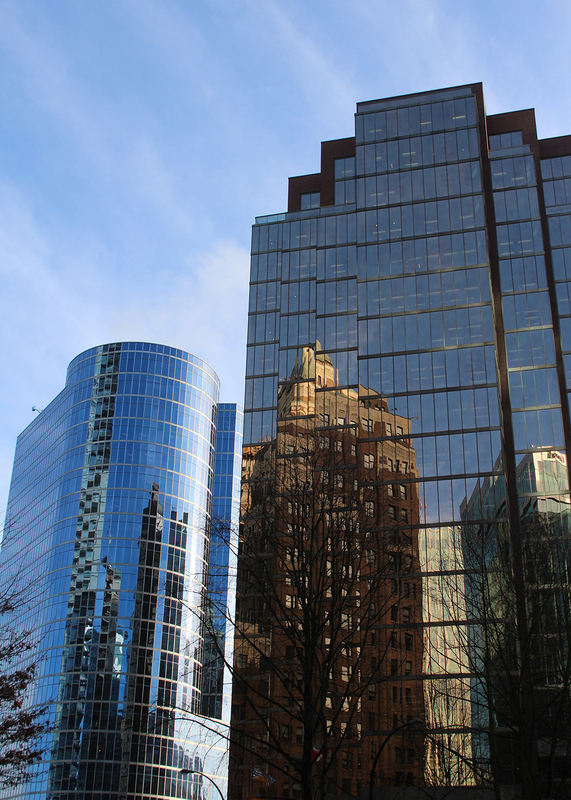 I have been to Vancouver a few times when I was younger but haven't made it back recently. ahhhhh. how incredible. we drove up to vancouver from seattle one time for a few hours, so we didn't get to experience much. 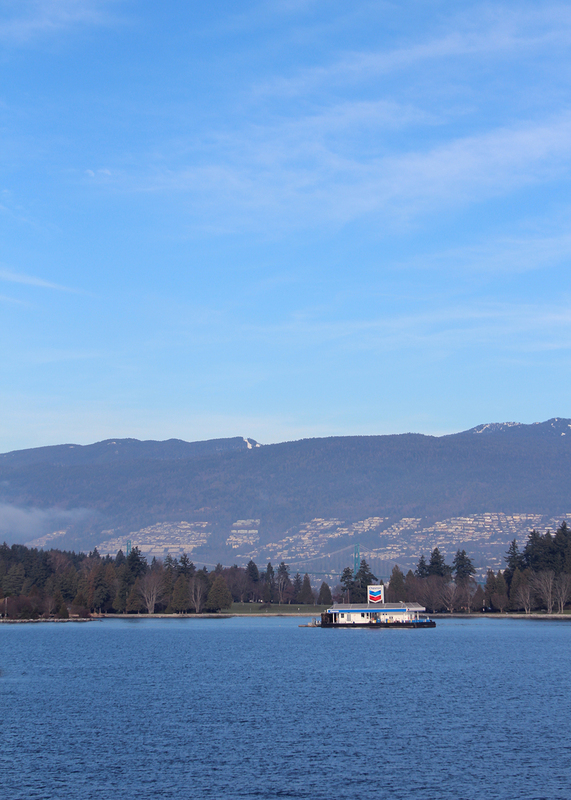 glad I could get a little taste of vancouver from your photos! Looks beautiful! The photos on the bridge are stunning! This looks awesome. I always wanted to visit Vancouver, I love that bridge and the collection of photos. It reminds me quite a lot of 'home'. That photo of the clock is stunning!! 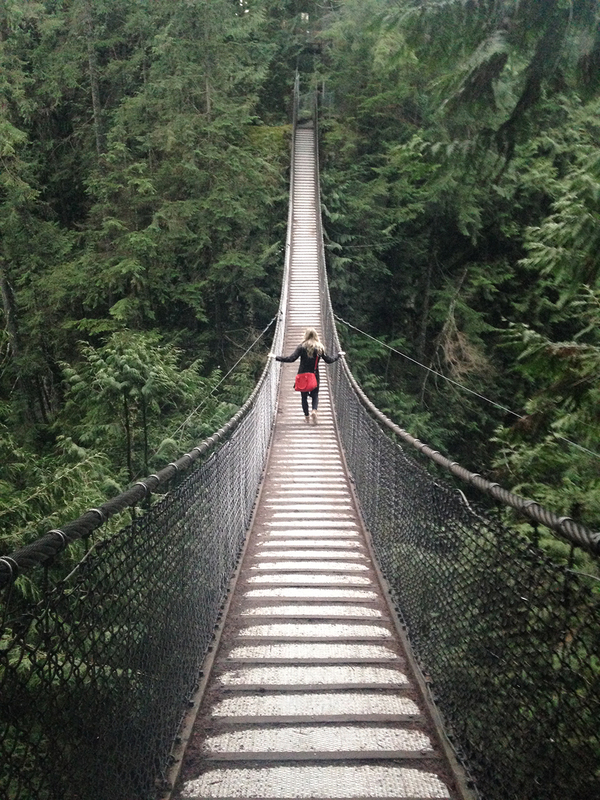 These photos make me really want to visit Vancouver. I haven't made it to vancouver either, but have def experienced the coldness of Ottawa, so can understand wanting to escape it! So beautiful! I've never been to Canada, but one of these days I'll make my way up there!